Brainwave entrainment or brainwave synchronization refers to the brain's electrical response to rhythmic sensory stimulation, such as pulses of sound or light. Human brain has a tendency to synchronize its dominant EEG frequency with the frequency of the external frequency it is given. Today brainwave entrainment is gaining rapid popularity among people who feel depressed and unmotivated and have lost their learning capability. 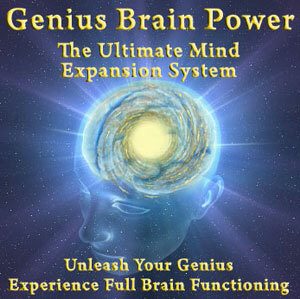 Instead of taking pills a growing number of the population is turning to brainwave entrainment. The vibrations of the brain are responsible for how the brain absorbs and stores data. When the brain is in the correct state, information can and will be stored properly and efficiently. _The brainwave entrainment is a way to safely and effectively alter your brains learning and memory abilities without the use of drugs or medications. Sound waves can be used to adjust the brain’s operating frequencies to promote healthy and efficient memory enhancement. Research has found that the ideal state for learning is when the brain is in a relaxed, but aware state. At this point the brainwaves run at about 8 to 12 cycles per seconds or hertz and this is called the alpha state. Alpha frequencies are found to be useful for learning purposes in many ways. In the Alpha state your mind is most receptive and the retention is higher. When using soothing sounds with brainwave entrainment technology that stimulates alpha brain waves, learners will be more relaxed and it will help them to absorb more easily new information and enhance creative visualization which helps to memorize new words with better results. In ordinary awareness everything your hear, read or learn is filtered through short term memory and analytical processes and much of it never reaches long term memory. 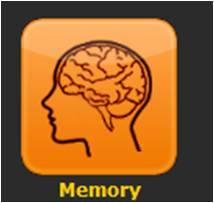 With brainwave entrainment you can learn and remember things with much less repetition because the brainwave entrainment induces relaxed state of awareness where learning and memory functions are greatly increased. In this brainwave state new words and phrases you hear go straight into long term memory which is where language is stored. The whole-brain language instruction, for example, enhances the learning experience with soothing music, brainwave entrainment and colors. Research results have confirmed that in a relaxed state of mind you will memorize new words more easily. When using soothing sounds with brainwave entrainment technology that stimulates your alpha brain waves, you will be more relaxed and it will help you to absorb new information much easily. The teacher might play music while reading definitions of the new words, leaving time for listeners to draw images of the words. The teacher might use guided meditation to build a relaxed state containing memories of success before the listeners hear the definitions again. As lower brainwaves increase the ability to think in a creative manner, this puts their brains into a creative mode of thinking. It is also known that at alpha, we are able to bridge the gap of our conscious with our subconscious level which means that your conscious and subconscious mind, both, are learning. _Research reveals that certain music types (e.g. 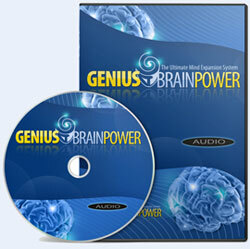 baroque music) ease the brainwaves into the relaxed 'alpha state' that is ideal for learning. Guiding the brain into a specific frequency is aided by computer generated rhythmic pulses of sound, also called isochronic tones, so the brain can synchronize to a desired frequency. Guiding the brain to faster or higher frequencies has been shown to stir creativity and motivation while switching to lower or deeper frequencies can induce states of relaxation and calm. The use of music in the classroom can make the entire learning process more enjoyable and can stimulate "right" brain learning. Six years ago researchers reported that people scored better on a standard IQ test after listening to Mozart. Other tests soon followed: Rats raised on Mozart run through mazes faster and more accurately. People with Alzheimer's disease function more normally if they listen to Mozart and the music even reduces the severity of epileptic seizures. ...It is a enjoyable and empowering experience.